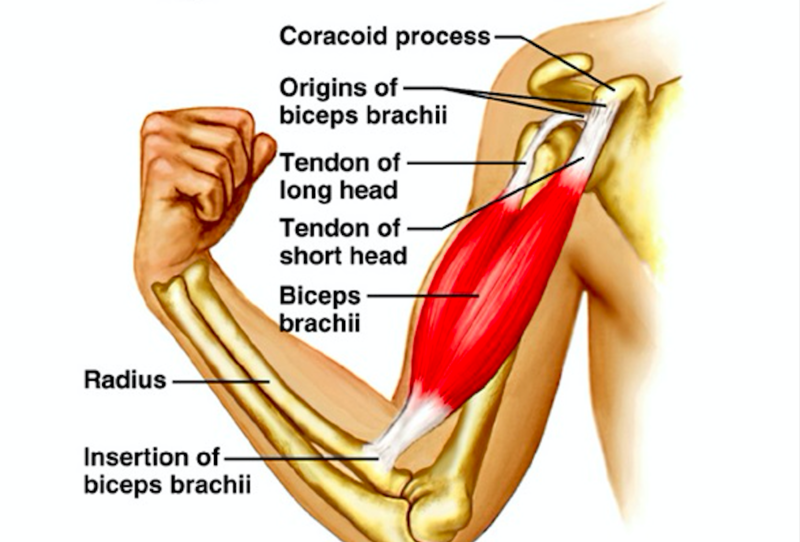 The short head of the bicep inserts at the coracoid process. It is rarely a source of pain and helps with arm flexion. The long head of the bicep runs over the top of the humerus and inserts at the glenoid. It is primarily responsible for arm abduction and is a common source of anterior shoulder pain. The long head arises from the infraglenoid tubercle, with the tendon attaching to the glenoid cavity. The lateral head attaches to the upper margin of the radial grove of the humerus. 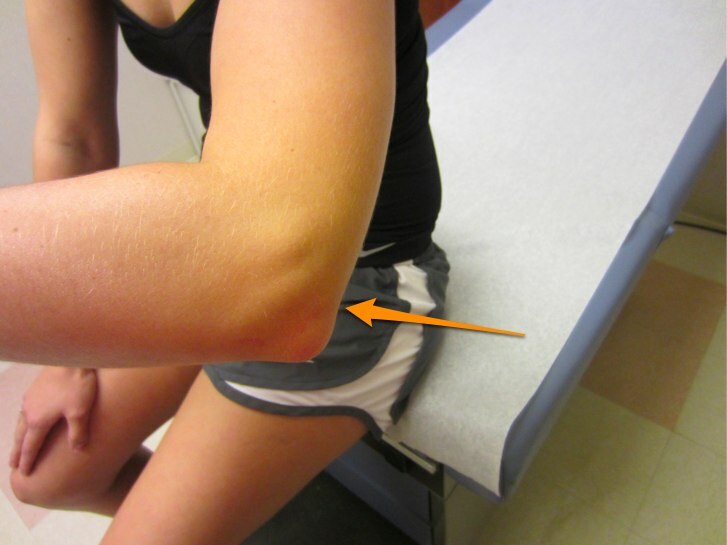 Rupture of the proximal tendon of the biceps results in the muscle collecting distally. The main indication for operative repair is restoration of supination strength. However, patients may also elect to have operative treatment for cosmetic reasons. If supination strength and/or cosmetics are not important to the patient, non-operative treatment can be considered. Flexion and supination strength generally return to near baseline levels. Patients can expect to return to normal functioning between 4-9 months after surgery. The most common complication is a neuropraxia of the lateral antebrachial cutaneous nerve. Complete tears are debilitating and should be repaired surgically. Partial tears >50% with significant weakness should also be repaired surgically. Partial tears in which patients retain their ability to extend their elbow against gravity can be treated non-operatively with physical therapy and NSAIDs. 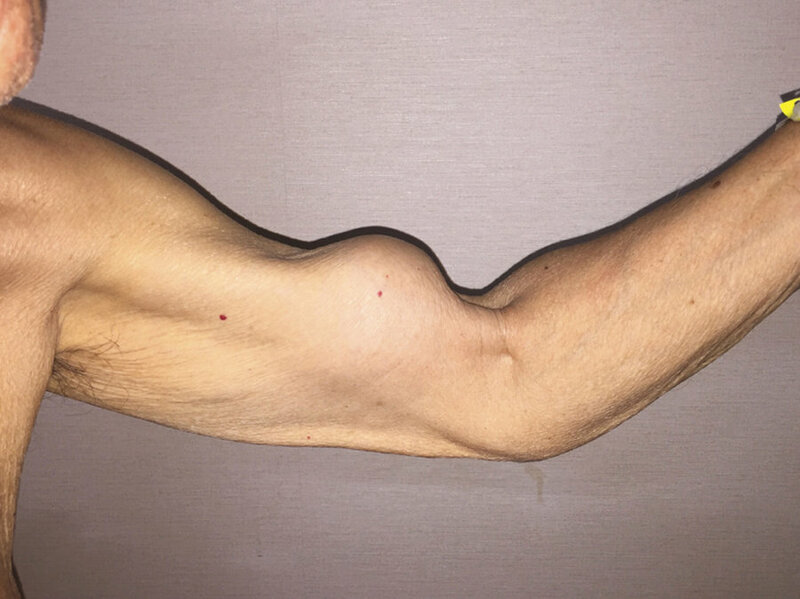 Patients can expect to regain almost full range of motion of the elbow, with possible loss of a few degrees of elbow extension. Patients can expect to return to full activities 12 weeks after surgery. 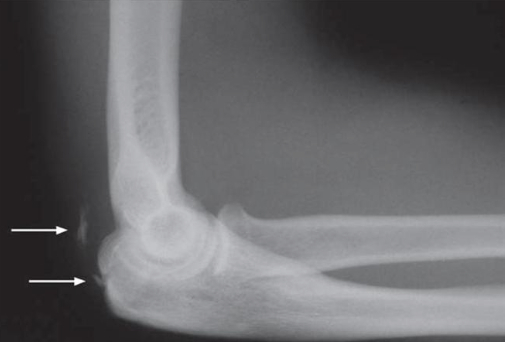 Complications include elbow stiffness and ulnar nerve injury, the latter of which is very rare. 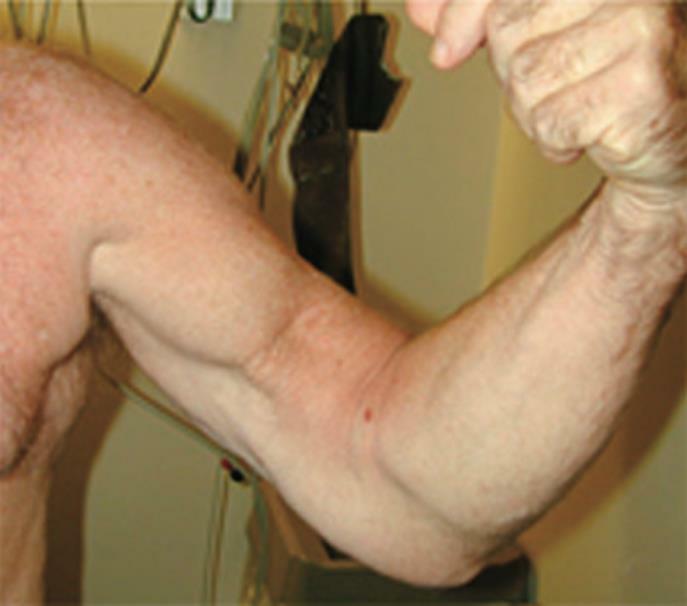 Generally, patients treated nonoperatively for biceps and triceps tendon ruptures have weaker supination/flexion and elbow extension, respectively, compared to patients treated surgically. 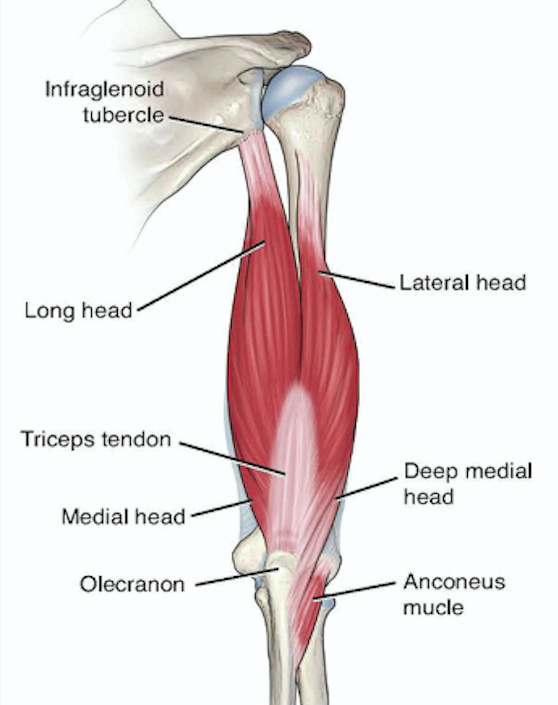 Leslie BM, Ranger H. (2002) Biceps Tendon and Triceps Tendon Ruptures. In: Baker C.L., Plancher K.D. (eds) Operative Treatment of Elbow Injuries. Springer, New York, NY.